New Delhi: In a development that would bring mobile telephone tariffs further down, telecom regulator Trai has suggested doing away with termination charges in a phased manner over the next three years. Termination charges, a part of Interconnection Usage Charges(IUC), are a levy paid by one operator to another on whose network a call ends. 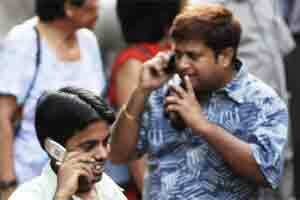 Any change in it will have impact on mobile tariffs. In its submission to the Supreme Court, Trai has submitted a number of models for calculating IUC, but it has suggested that termination charges should be completely removed by 2014. “It is felt that it will take another two years for asymmetries in traffic flows to converge to some form of equilibrium between new and old operators, especially with an enabling termination charges regime with termination charges set at lower levels than at present," Trai said in the affidavit submitted to the Supreme Court. A final decision on the issue will be taken by the apex court. GSM operators are on one side opposing any move to reduce termination charge, while the CDMA players and new operators together on the other hand are supporting any move for complete removal of the levy. The move to reduce the fee has been opposed by incumbent operators as they stand to lose revenue. But new players are in favor of a low termination rates because for them the net outflow of traffic is more than incoming calls. Trai is of the opinion that there should be a progressive reduction in termination charges finally converging to zero termination charges i.e. Bill and Keep (BAK) at the end of two years from now, it added. Trai said establishment of a clear three-year outlook for IUC would provide regulatory predictability and enable service providers to plan their networks and businesses accordingly. In the meantime, TRAI is of the view that the termination rates arrived at through pure long run incremental cost (LRIC) method may be made applicable now which will glide towards BAK in two years. “This will give sufficient time to operators to adjust to the changes in the termination regime and will ensure a smooth transition," Trai said.